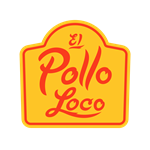 El Pollo Loco (LOCO) reported 4th Quarter December 2018 earnings of $0.16 per share on revenue of $106.3 million. The consensus earnings estimate was $0.14 per share on revenue of $104.6 million. The Earnings Whisper number was $0.15 per share. Revenue grew 11.6% on a year-over-year basis. The company said it expects 2019 earnings of $0.70 to $0.75 per share. The current consensus earnings estimate is $0.80 per share for the year ending December 31, 2019. El Pollo Loco Holdings Inc operates limited service restaurant. The Company through its indirect subsidiary, El Pollo Loco, Inc. , which develops, franchises, licenses and operates quick-service restaurants under the name El Pollo Loco. COSTA MESA, Calif., March 07, 2019 (GLOBE NEWSWIRE) -- El Pollo Loco Holdings, Inc. (Nasdaq: LOCO) today announced financial results for the 13-week period ended December 26, 2018. Total revenue, excluding franchise advertising fee revenue, increased 6.2% to $101.1 million compared to $95.2 million in the same period of 2017. Including $5.2 million of franchise advertising fee revenue related to franchise advertising fund contributions, required as part of new accounting guidance implementation, total revenue increased 11.6% to $106.3 million. System-wide comparable restaurant sales increased 4.4%, including a 3.7% increase for company-operated restaurants, and a 5.1% increase for franchised restaurants. Net loss was $23.4 million or $0.60 per diluted share, compared to net loss of $38,000 in the prior year. Fourth quarter of 2018 included a $36.3 million pre-tax expense related to the legal settlements of multiple class action lawsuits. Pro forma net income(1) was $6.1 million, or $0.16 per diluted share, compared to pro forma net income of $4.4 million, or $0.11 per diluted share. Adjusted EBITDA(1) was $14.5 million, compared to $13.4 million in the same period of 2017. Company-operated restaurant revenue in the fourth quarter of 2018 increased 6.0% to $94.6 million, compared to $89.3 million in the same period last year. The growth in company-operated restaurant revenue was largely driven by the 12 new restaurants opened during and subsequent to the fourth quarter of 2017, a 3.7% increase in company-operated comparable sales, partially offset by 7 restaurant closures during the same time period. Comparable company-operated restaurant sales in the fourth quarter increased 3.7%, driven by a 2.7% increase in average check and a 1.0% increase in transactions. Franchise revenue in the fourth quarter of 2018 increased 9.2% to $6.4 million, compared to $5.9 million in the fourth quarter of 2017. The increase in franchise revenue was largely driven by higher franchise comparable restaurant sales of 5.1% and the contribution from the 10 new restaurants opened during and subsequent to the fourth quarter of 2017, partially offset by 4 restaurant closures during the same period. In the first quarter of 2018 the Company implemented new accounting guidance, which in part requires the inclusion of franchisee advertising fund contributions as franchise advertising fee revenue. For the fourth quarter of 2018, franchise advertising fee revenue was $5.2 million. Restaurant contribution was $17.7 million or 18.7% of company-operated restaurant revenue, compared to $16.6 million, or 18.5% of company-operated restaurant revenue in the fourth quarter of 2017. The increase in restaurant contribution margin was primarily the result of higher company-operated restaurant revenue, partially offset by higher labor and related expenses, due to the impact of wage increases in California. During the fourth quarter of 2018, the Company recorded a $36.3 million pre-tax expense related to two agreements in principle to settle several class action lawsuits. Net loss for the fourth quarter of 2018 was $23.4 million, or $0.60 per diluted share, compared to net loss of $38,000, or $0.00 per diluted share in the fourth quarter of 2017. Pro forma net income was $6.1 million, or $0.16 per diluted share during the fourth quarter of 2018, compared to pro forma net income of $4.4 million, or $0.11 per diluted share during the fourth quarter of 2017. A reconciliation between GAAP net loss and pro forma net income is included in the accompanying financial data. Based on current information and excluding the impact of potential share repurchases, the Company is providing the following earnings guidance for the fiscal year 2019. Adjusted EBITDA of between $62.0 and $65.0 million. Reconciliations of our 2019 expected pro forma diluted net income per share range and our expected 2019 Adjusted EBITDA range to their corresponding GAAP measures have not been provided as we cannot determine the probable significance or timing of certain reconciling items which are outside of our control and therefore cannot be reasonably predicted. Accordingly, we do not provide guidance for these various reconciling items. These reconciling items such as asset impairment and closed store reserves, legal settlements, securities lawsuit related legal expenses and gain or loss on disposal of assets impact the timing and amount of the quarterly recognition of GAAP net income. Therefore, reconciliations of the differences between these forward-looking information items to their most directly comparable financial measures calculated and presented in accordance with GAAP are not available without unreasonable effort. Comparable restaurant sales reflect the change in year-over-year sales for the comparable company, franchised and total system restaurant base. The comparable restaurant base is defined to include those restaurants open for 15 months or longer. For the 52 week period ending on December 26, 2018, there were 195 restaurants in our comparable company-operated restaurant base and 449 restaurants in our comparable system restaurant base. The Company will host a conference call to discuss financial results for the fourth quarter of 2018 today at 4:30 PM Eastern Time. Bernard Acoca, President and Chief Executive Officer and Larry Roberts, Chief Financial Officer will host the call. The conference call can be accessed live over the phone by dialing 877-407-3982 or for international callers by dialing 201-493-6780. A replay will be available after the call and can be accessed by dialing 844-512-2921 or for international callers by dialing 412-317-6671; the passcode is 13675719. The replay will be available until Thursday, March 22, 2019. The conference call will also be webcast live from the Company’s corporate website at investor.elpolloloco.com under the “Events & Presentations” page. An archive of the webcast will be available at the same location on the corporate website shortly after the call has concluded. El Pollo Loco (Nasdaq:LOCO) is the nation’s leading fire-grilled chicken restaurant chain renowned for its masterfully citrus-marinated, fire-grilled chicken and handcrafted entrees using fresh ingredients inspired by Mexican recipes. With more than 480 company-owned and franchised restaurants in Arizona, California, Nevada, Texas, Utah and Louisiana, El Pollo Loco is expanding its presence in key markets through a combination of company and existing and new franchisee development. Visit us on our website at ElPolloLoco.com. While we believe that our assumptions are reasonable, we caution that it is very difficult to predict the impact of known factors, and it is impossible for us to anticipate all factors that could affect our actual results. All forward-looking statements are expressly qualified in their entirety by these cautionary statements. You should evaluate all forward-looking statements made in this press release in the context of the risks and uncertainties disclosed in our annual report on Form 10-K for the year ended December 26, 2018, including the sections thereof captioned “Forward-Looking Statements” and “Risk Factors,” as those sections may be updated in our quarterly reports on Form 10-Q. Those and other filings are available online at www.sec.gov, at www.elpolloloco.com or upon request from El Pollo Loco.